Throughout her career in a field dominated by men, award-winning architect Kazuyo Sejima has always recognized that good results stem from teamwork, rather than arbitrary division in the workplace. This desire for harmony manifests itself in some of Sejima’s most renowned works, including the Louvre Lens in France, the New Museum of Contemporary Art in New York and the Almere Theatre and Art Centre in the Netherlands, among others. Defined by their sleek and modern design, the Japanese architect’s projects rely heavily on glass to convey a connection between humans and the environment. 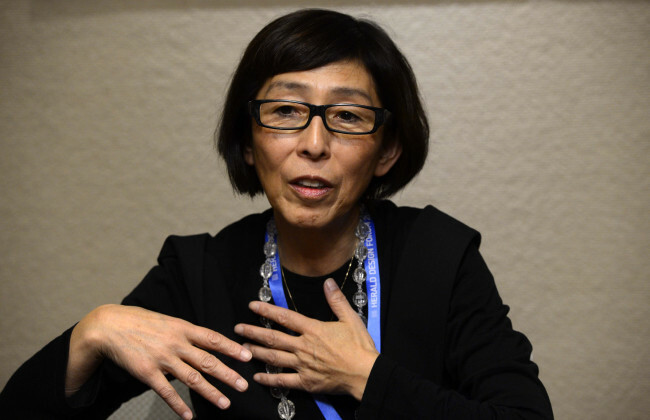 However, working with glass comes with its own set of challenges, acting as “a barrier in some cases,” according to Sejima, the second woman to have been awarded the prestigious Pritzker Architecture Prize in 2010. Another role of glass in Sejima’s designs is its ability to bridge the gap between the often stark separation between the outside and the inside. It also allows for the spatial creativity often unattainable with walls. Sejima fears that recent technological advances and the rising cost of human labor are hindering creative innovations in Japanese architecture. When submitting proposals for state-run projects, architects risk rejection if their plans stray too far from the status quo, she explained. “I believe space is a medium for communication,” said Sejima. “Young people have more possibilities to make and find new space to fit to the current situation,” she added.